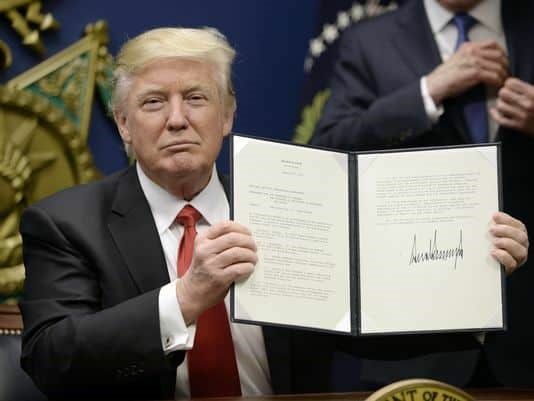 President Trump plans to issue a revised version of his temporary travel ban targeting majority-Muslim countries as early as Tuesday, with a likely focus on fewer people so it will survive legal challenges. The new order, according to a draft obtained by the Associated Press, would focus on the same seven countries — Iran, Iraq, Libya, Somalia, Sudan, Syria and Yemen — but would only bar entry to those without a visa and who have never entered the United States before. Unlike the original order, people from those countries who already have permanent U.S. residency (green cards) or visas would not face any restrictions.